Buying a dream house is such an exciting moment which cannot be described with words! It is one of the brave decisions involving a huge investment. Before starting a new life in the new home, you have some frustrating works left behind. Yes, you should get your bond amount back while leaving your rented property. Coming to end of lease cleaning, you have two options one is you can choose to clean on your own or hire professional end of lease cleaning Dee Why to complete the job efficiently. Many people choose to try their hands out, but we suggest you hire professionals because they will know how to bring back the new shine and what your landlord will expect. Why Hiring End of Lease Cleaning Company is the best bet? 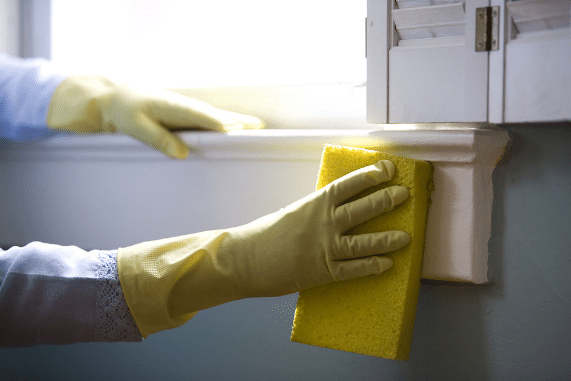 We all know how daunting is the house cleaning job, especially when it comes to end of lease cleaning there are so many things to do in order to get your bond back. It is not like a simple house cleaning job, it requires the spotless cleaning. When you try to do it all by yourself, you will have to invest a lot of your time and energy in it. Hiring an expert end of lease cleaning Coogee and allowing them to take care of all the cleaning chores, you can be with complete peace of mind. When you are out of the cleaning jobs, you can focus on your new home preparing it to start a new chapter of life. When it comes to end of lease cleaning, the first thing you should consider is the quality. This is because you should not miss any place such dusty ceilings, blinds and light fittings. You should cover every nook and corner of the home to satisfy your landlord. When you hire a professional end of lease cleaning Dee Why, they can handle the cleaning work well as they are experienced in the field. They also guarantee to complete their works to meet the expectation of your landlord or property manager. Moreover, in case if there are any issues, these professionals also claims to return to the property to correct the problem helping you to focus only on setting down your new home! You might not have all the required stuff to complete the cleaning job with perfection. Professional cleaners use high standard machinery and premium chemicals to clean your property. They also use environment-friendly and safe chemicals and products to get your property super clean. Hiring a professional end of lease cleaning North Sydney will help you save money. Wondering how? You can save your money at the end because they do not charge much, you will not require to travel back and forth your new home and the rented property to clean, you don’t have to spend on chemicals or equipment to clean. In addition, getting your bond money is also guaranteed when a professional is at your side.